Seems it’s turning out to be hellova year here, and we’re only 4 months in. So far in 2017, here at MBD we’ve had Digital-Fiction-Award-shortlisted projects, and honorable mentions, and theorising all over the MDB shop: most of which have been centered on the release of “All the Delicate Duplicates”, on which we hit the big red Steam publish button in February. But the thing I wanted to bang about right now is just how easy it is to forget what achievements and career progression you can manage to stuff into a year. It’s easy to think “So I guess I’ve done sweet-f*-all this past year, cept work on commercial projects and bingewatch the crap outta Star Trek’s TNG”, but in reality a year includes such a crazy amount of workstuff that’s it almost impossible to remember it all, unless you’re forced to document it all because…reasons [ie being interviewed, or beefing up your resume/CV for funding submissions]. Then it all jumps out in sharp “omg-did-that-really-happen-in-the-space-of-ONE-YEAR! ?” relief, alrighty. 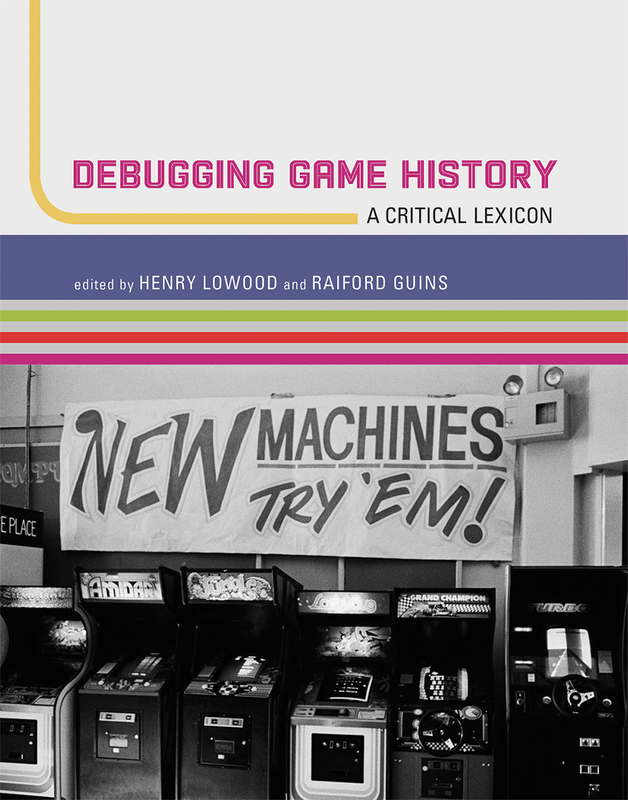 In May 2016, authors of the book “Debugging Game History: A Critical Lexicon” were kind enough to call my codeworks “…provocative examples of nonfunctional pseudo-code” + Nathan Jones regaled students from the LJMU Art & Design Academy with a selection of MBD games/writing. 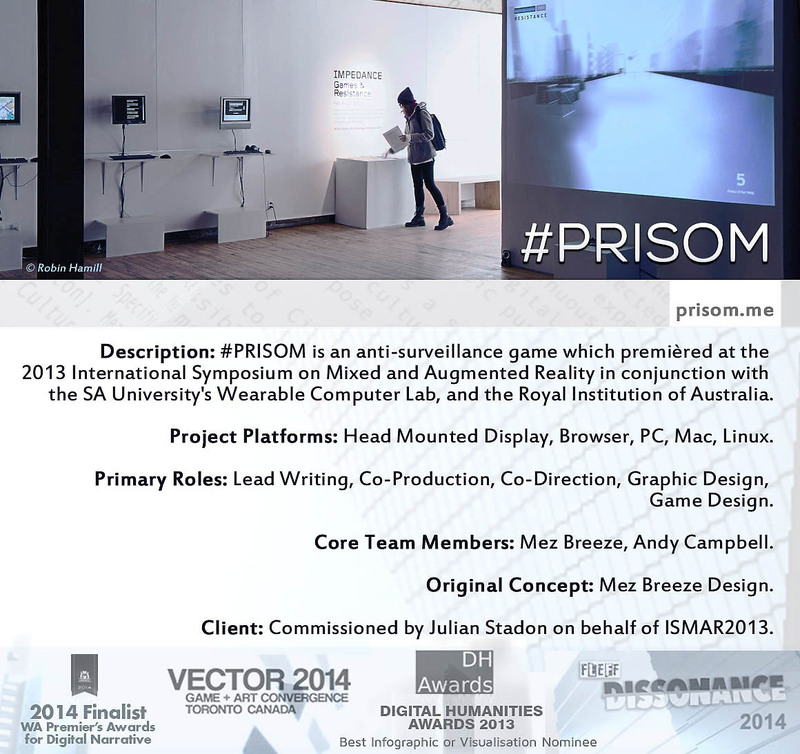 In June 2016, “The Biopolitics of Electronic Literature: On the Writings of Mez Breeze” gave a good crack at analysing our anti-surveillance game #PRISOM, with the author, Kent Aardse, writing: “If #PRISOM were to only accomplish one thing (and to be clear, it accomplishes much more), it is to foster a more discerning, critical player; in this case, the goal is for the user to walk away from the experience more aware of her interactions and experiences online”. 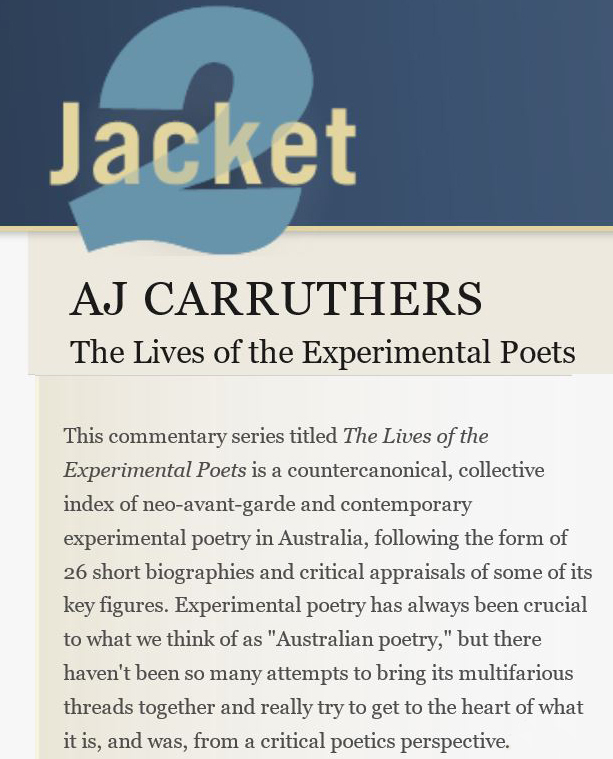 Also in June my interactive fiction “A [[Non]] Guardian Age”, commissioned by if:book Australia, was shortlisted in the Western Australian Premier Book Awards in the Digital Narrative category [woop woop!]. 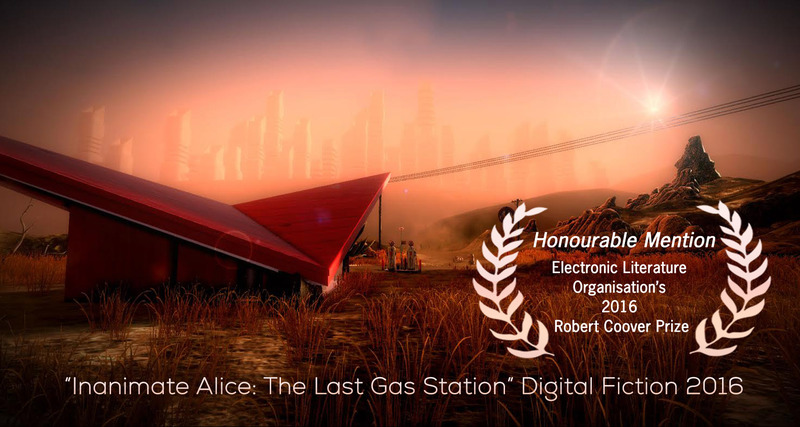 July 2016 saw our Inanimate Alice team being twinkle-graced with an Honorable Mention for all our hard work on “Inanimate Alice, Episode 6: The Last Gas Station” as part of The Robert Coover Award for a Work of Electronic Literature. 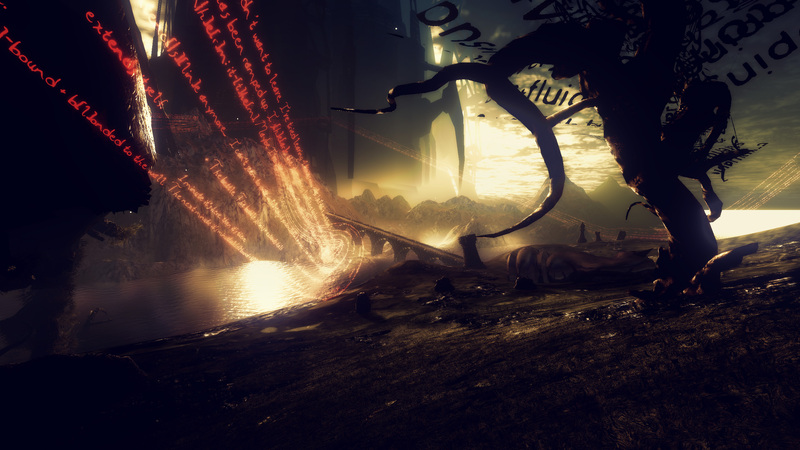 From July – October 2016, I had the pleasure of performing as a Juror for the Exhibition arm of the 2016 International Conference on Interactive Digital Storytelling, with standout works selected including Walden – A Game, Nevermind, and Pry. Also in August 2016, on the strength of the Beta version of the “All the Delicate Duplicates”, Valve’s Business Development department provided both Vive Pre developer kits and direct publishing access on Steam [the term “gobstonked” in no way adequately captures how much happy-dancing we did over this!]. 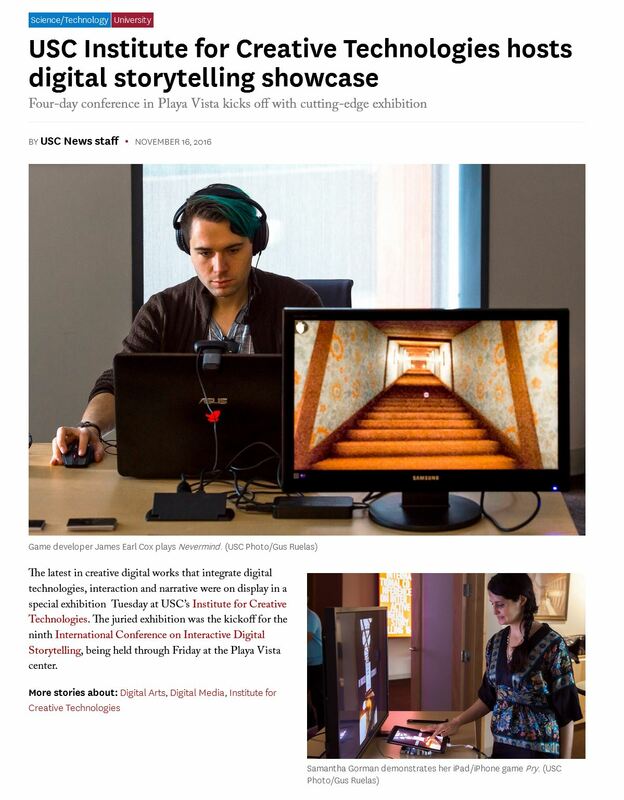 In September 2016, I talked an audience’s collective ears off during a guest lecture + Tilt Brush VR demonstration as part of the “Future Possible” lecture series [as well as being interviewed on ABC radio about my involvement]. 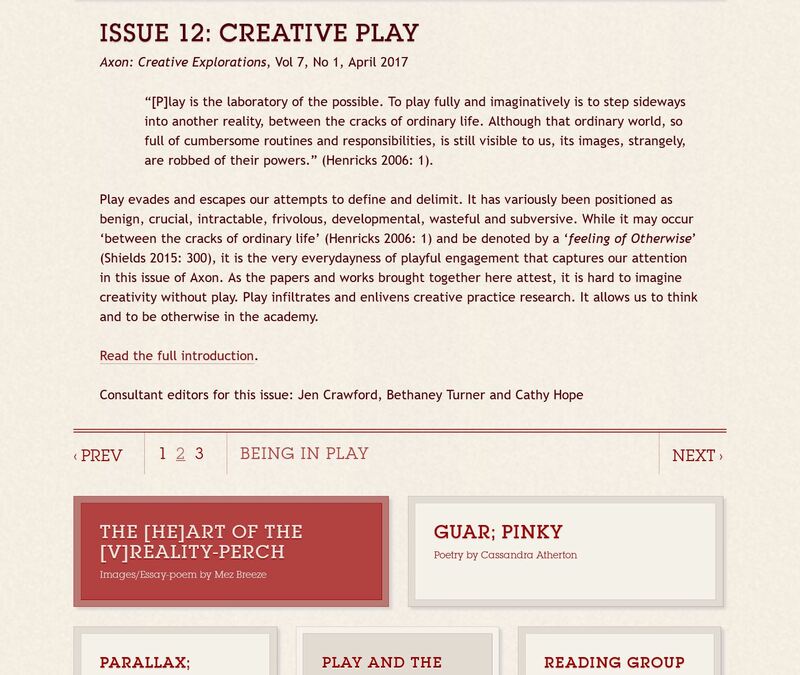 In April 2017, a version of this yakk-talk was published via the journal AXON as part of their “Creative Play” Edition. 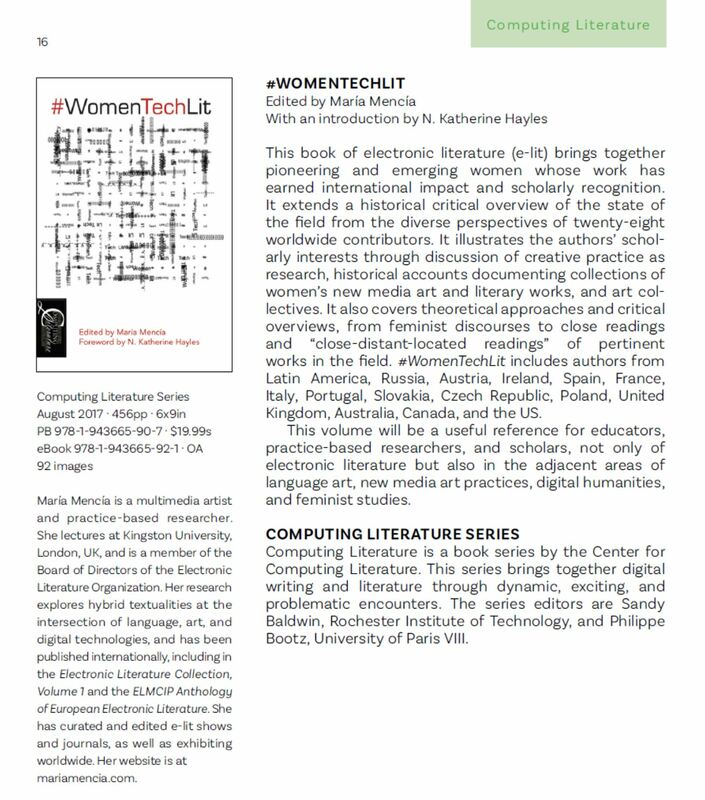 2016 Electronic Literature Conference Exhibition [*wipes brow*]. 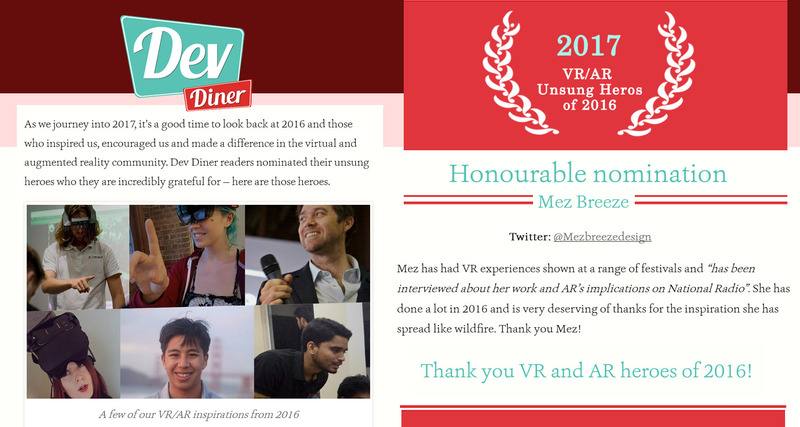 In January 2017, I was shock-slung an “Unsung VR/AR Heros of 2016” Honourable Nomination from DevDiner for contributions to both the Virtual Reality and Augmented Reality industries [whoo!] 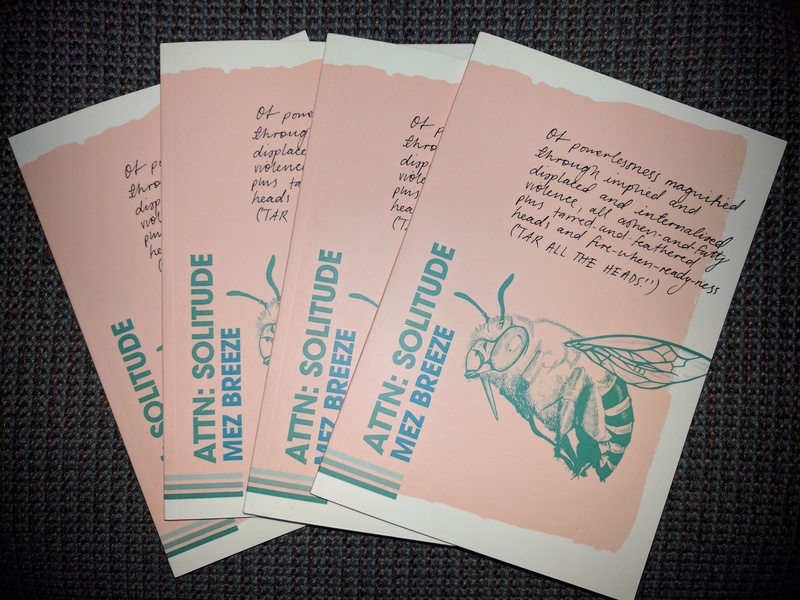 + my second deadtree-media book “Attn: Solitude” was perfection-published by Cordite Poetry Books. 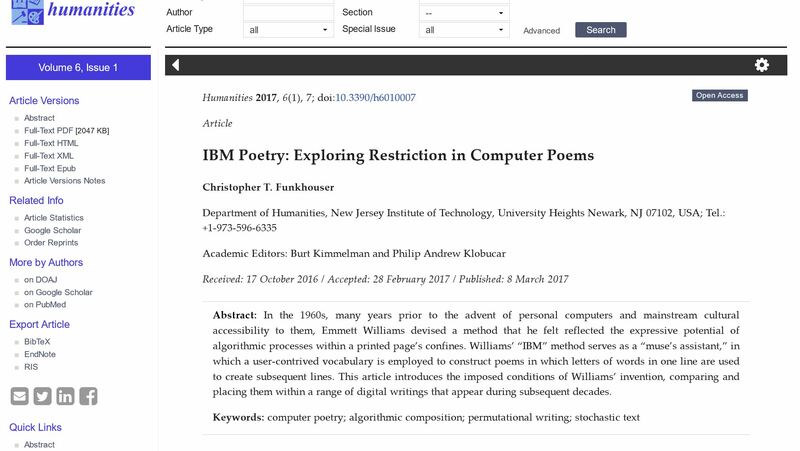 In March, Mezangelle got a nod in the article “IBM Poetry: Exploring Restriction in Computer Poems” by the lovely Chris Funkhouser. 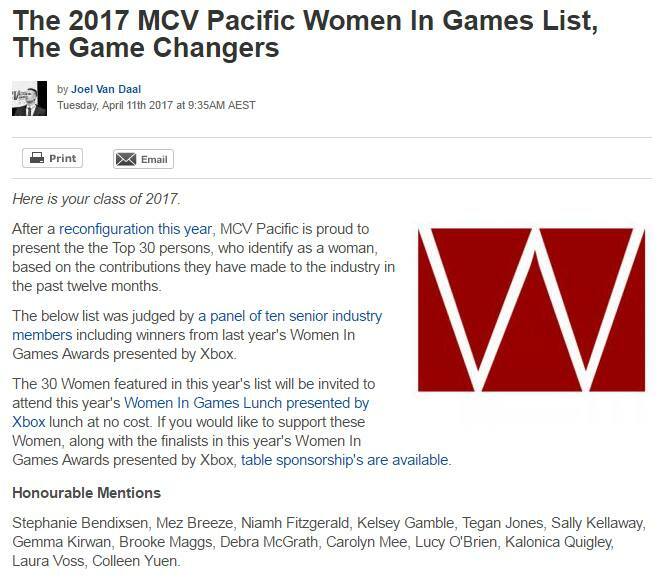 April 2017 [a huge month all round really] also sprang the goodly-bordering-on-unbelievably-great news of snagging an Honorable Mention as part of the 2017 Microsoft MCV Pacific Women In Games “Game Changers” list. Posted by Mez Breeze. 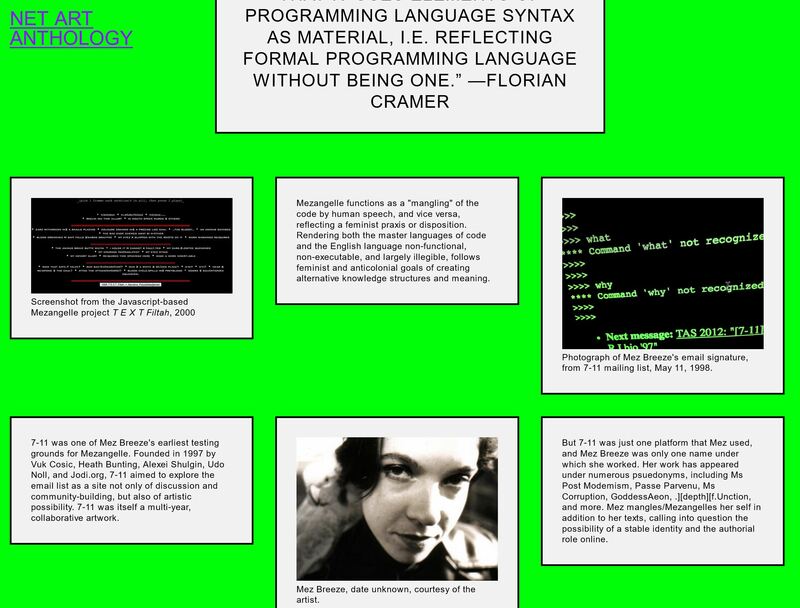 Categories : Game Design, Games, Interactive, Stories, Storytelling, Virtual Reality. 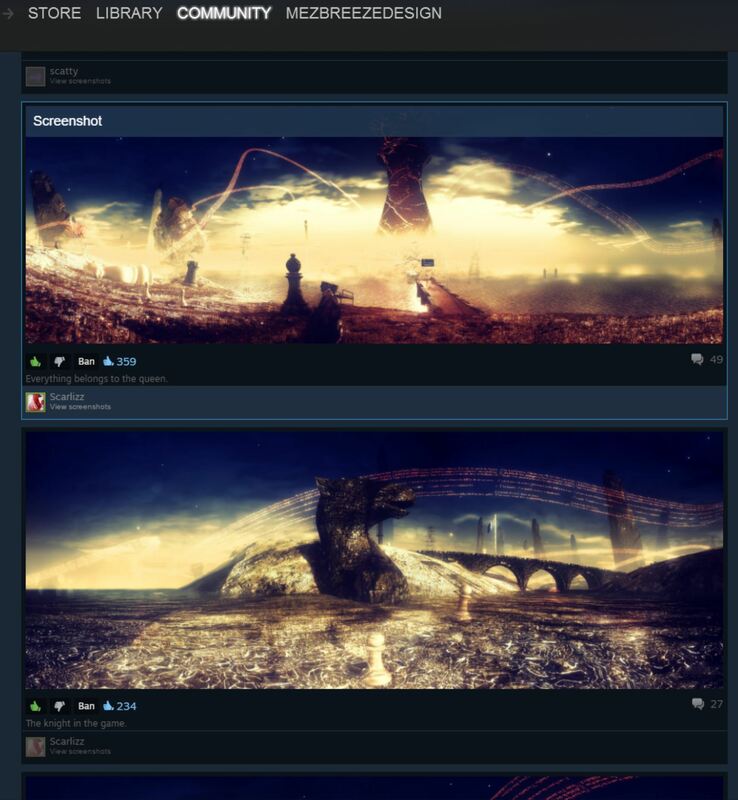 Tags : 3D Gameworlds, All the Delicate Duplicates, Digital Fiction, Digital Writing, Electronic Literature, Game Design, Inanimate Alice, Virtual Reality.